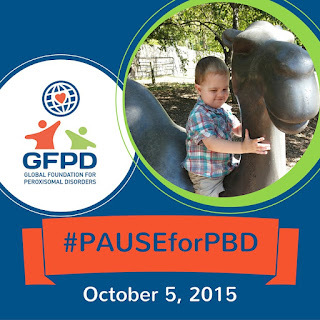 Today, October 5, 2015 is GFPD's #5 Birthday! 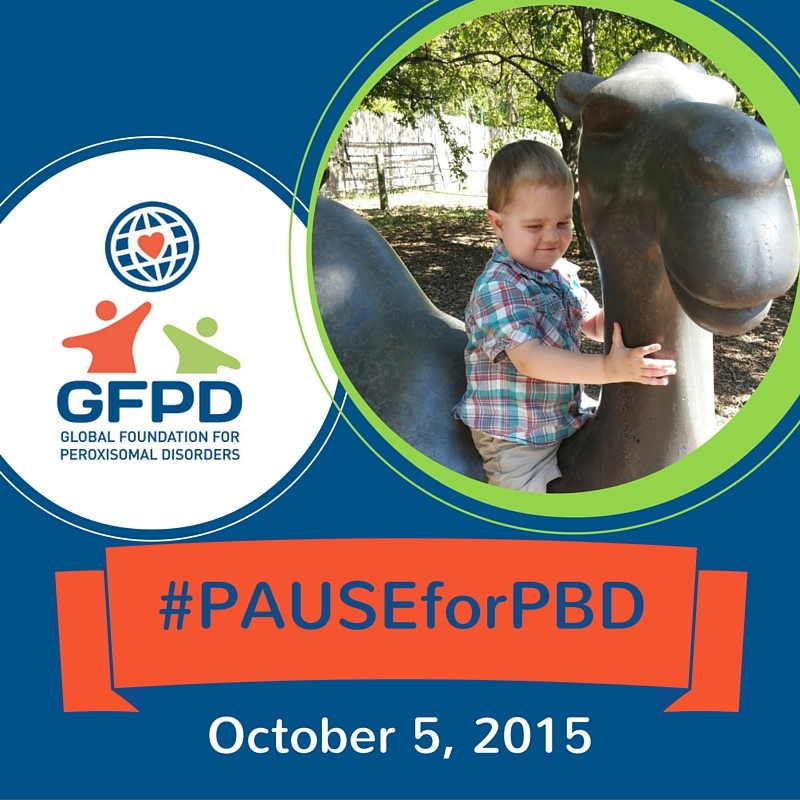 In honor of this special day,The Global Foundation for Peroxisomal Disorders is asking you to‪#‎PAUSEforPBD‬! For all that know Ethan, and other children and families devastated by Peroxisomal Biogenesis Disorders (PBD), please consider taking a moment to reflect, honor, pray, light a candle, pray, post a picture, donate, write a note, or do something to ‪#‎PAUSE‬ for our children and families. Visit www.thegfpd.org for more information on PBD and the mission of The Global Foundation for Peroxisomal Disorders.